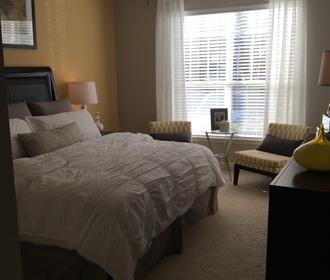 Cast your worries aside and come home to our newly renovated apartments that await at the Flats at North Springs. The naturally scenic grounds are beautifully wooded and richly landscaped to create an ambiance of serenity in Sandy Springs, GA. The stately architecture hints to the classic appeal and designer touches found inside every apartment for rent within this pristine community. Cross the threshold of the one, two or three bedroom apartment, and your eyes will be drawn to the attractive package of features, from the soaring ten-foot ceilings down to the deluxe wood-style flooring. The gourmet kitchen is a chef’s dream with granite countertops and stainless steel appliances. Nestled in the towering trees, the park-like setting of this community welcomes you home after a long day. 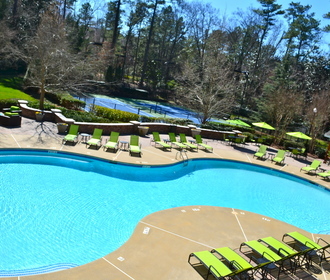 Relax in the figure-eight swimming pool or unwind beside the communal fire pit. Entertain friends at one of our grilling stations with al fresco dining spaces. The private bridge to the MARTA station is a perk that simplifies your commute. 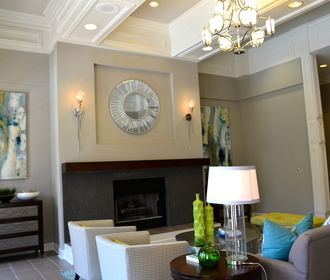 An escape from the ordinary is yours at the Flats at North Springs.